These twenty-two cleverly linked stories, written over two decades, trace a life from childhood to middle age. Beginning in Lancashire in the ‘60s and ‘70s, they follow a young girl as she becomes aware of what it means to be a daughter, a sister, a lover and a woman in a family where the relationships are constantly changing. From a disappeared clutch of curlew’s eggs to the last piece of furniture left standing in a home, these bleak and funny stories bolster what is lost into poignant narratives; told with lyricism, economy and wit, they are observed with the unflinching eye of an incisive witness. 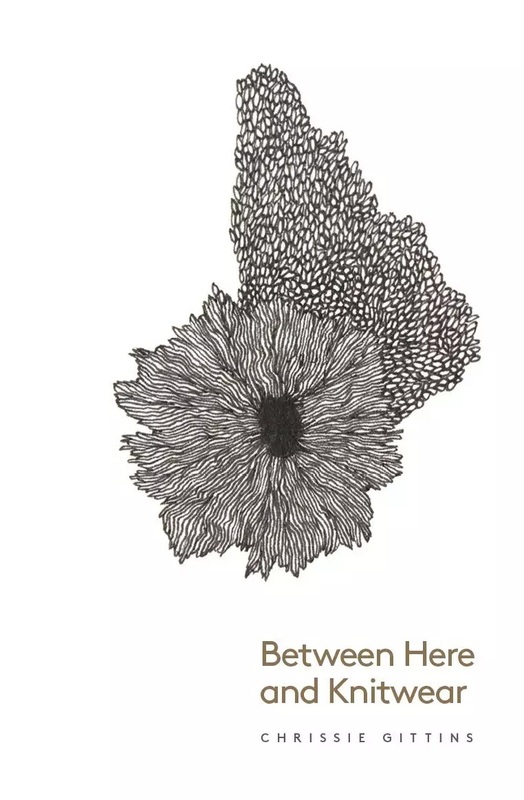 Between Here and Knitwear comprises 22 short stories by Chrissie Gittins but they feel more like chapters than individual stories as they flow so nicely from one to the other. I certainly couldn’t stop reading one chapter after another as each little snippet of Chrissie’s life emerges. Each story is so poignant, emotional and heartfelt that at various times I laughed, I cried and I identified with the author. Chrissie has set out chapters of her life in terrific detail, allowing the reader a glimpse into her thoughts and feelings. She has picked up on things that others might have taken for granted yet will certainly have experienced in their own life, such as reminiscences of her first period, first kiss and first love. I found myself getting quite emotional as Chrissie’s parents’ health was explored – her Mum’s frequent hospitalisations and her Dad moving into a care home. I had really come to care about Chrissie and her family as so much emotion has been poured into this book. As her writing-style is so lyrical, and Chrissie is not afraid to bare her soul, the reader is in no doubt that they are reading a very special book indeed. Between Here and Knitwear is a frank observation of life and I’m sure that all women will identify with Chrissie in at least one of the stories – I certainly did. It led me to reminisce about parts of my own life, remembering events I thought I had forgotten. This is a book to not simply read, but to experience. I received this book from the publisher, Unthank Books, in exchange for an honest review.